Franz Michel was voted 'White Winemaker of the Year' in this year's International Wine Challenge. 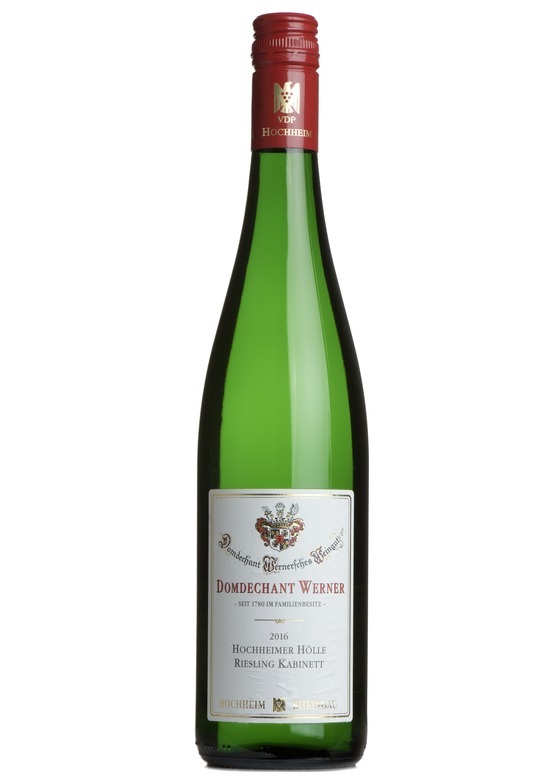 The 2016 'HH' Kabinett is a brilliant fresh, bright and lively sweet Riesling, and a great introduction to his stunning range. After a visit to Germany, we introduced Dr Michel’s impressive wines to our range nearly two years ago (he is indeed a doctor), and they are firm favourites with the Mr.Wheeler team. The Werner family bought this well-sited estate in 1780 from none other than the Duke of York. Located at the confluence of the Rhine and Main valleys, the estate is still in the same family ownership, and produces the entire range of Riesling styles, from off-dry, green-apple classic styles, to the most complex and intense single vineyard ‘GGs’ (Germany’s Grand Cru equivalent) and extremely rare beerenauslese dessert wines. The Rheingau cemented Germany’s position as the world’s leading producer of whites centuries ago, and although wine trends and tastes have obviously changed dramatically, this is still a region producing some of the most majestic, complex and flavourful wines around. The great white wine variety of Germany produces some of the longest lasting wines in the world. Traditionally producing un oaked low alcohol wines, Riesling is usually characterised by it's strong aroma which can be steely and floral and with age can develop hints of petrol and rubber. The finest German Rieslings can be found in the northernly region of Mosel-Saar-Ruwer where the steep hillside vineyards recieve the maximum amount of sunlight reflected off the river. Whilst there is a move towards a drier style of Riesling in Germany most still retain some degree of residual sugar.New world Riesling especially from New Zealand and the Clare and Eden valleys of Australia is becoming Increasingly popular and is usually a found in a drier style and can also show a hint of lime in the palatte.